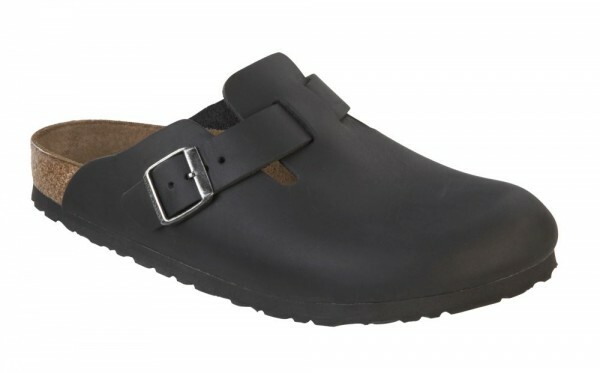 Product information "Boston Black nubuck leather greased"
The signature slip-on clog from BIRKENSTOCK® - the Boston. With a simple; adjustable design and contoured cork footbed that forms to the shape of your foot; the Boston is a proven classic. The high quality of the leather used for this model and the way of manufacturing are unmistakable signs for the original of BIRKENSTOCK®. The comfortable model Boston is a beloved and often worn item of our range and can be worn inside and outside the house. Related links to "Boston Black nubuck leather greased"
Customer evaluation for "Boston Black nubuck leather greased"